On Thursday afternoon, Tennessee received a commitment from elite 2020 four-star quarterback Harrison Bailey. A native of Marietta, Georgia, Bailey is ranked No. 59 overall and the No. 3 overall pro-style quarterback in his class according to the 247Sports Composite rankings. At 6-foot-4, 217 pounds, Bailey is the quarterback at Marietta High School where he is teammates with current Tennessee commit, 2019 four-star receiver Ramel Keyton. To say Keyton was happy with Bailey’s decision would be an understatement. What are the Vols getting with the commitment from Harrison Bailey? We take an in-depth look over on RTI Premium! Keyton wasn’t the only player associated with Tennessee who was happy with Bailey’s commitment, however. Current starting quarterback Jarrett Guaranatano took to Twitter to express his excitement shortly after Bailey announced his commitment. 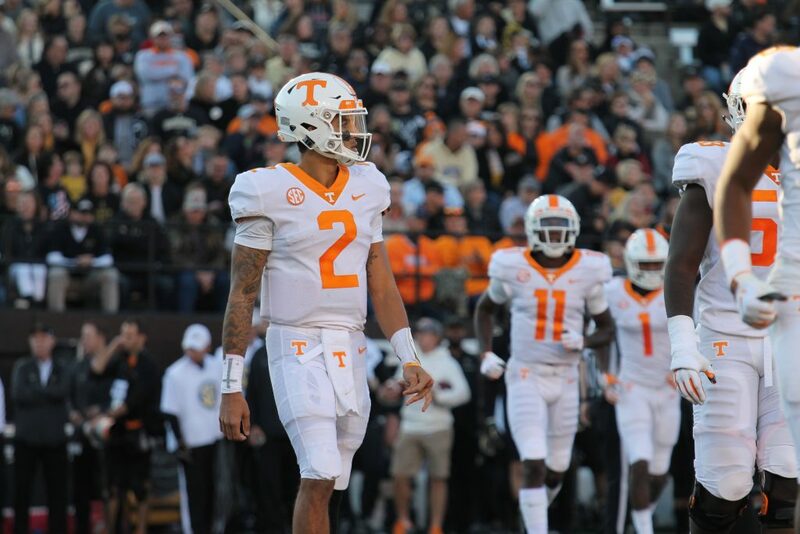 If Guarantano were to play out his final two eligible seasons in Knoxville, the soon-to-be redshirt junior would be a redshirt senior during Bailey’s freshman season. Bailey chose Tennessee over Michigan after completely shutting down his recruitment over the previous weeks. He is one of two quarterbacks committed to the Vols at the moment. Brian Maurer, a three-star quarterback in the 2019 class, has been committed to Tennessee since late June. Though there were rumors that Bailey would reclassify to the ’19 class, the Georgia native debunked those rumors on social media earlier today. Tennessee is coming off a 5-7 season in which it exceeded expectations in the eyes of some with wins over Auburn and Kentucky. The Vols do not currently have an offensive coordinator after Tyson Helton’s departure to be the head coach at Western Kentucky. Jeremy Pruitt’s ability to land an elite-quarterback over Michigan head coaach Jim Harbaugh without an offensive coordinator is a great omen for things to come in recruiting on Rocky Top. Bailey is the highest-rated player in Tennessee’s early 2020 class. He joins three-star wide receiver Antonio Barger, JUCO defensive end Jordan Davis, and long snapper Will Albright in the Vols’ class.